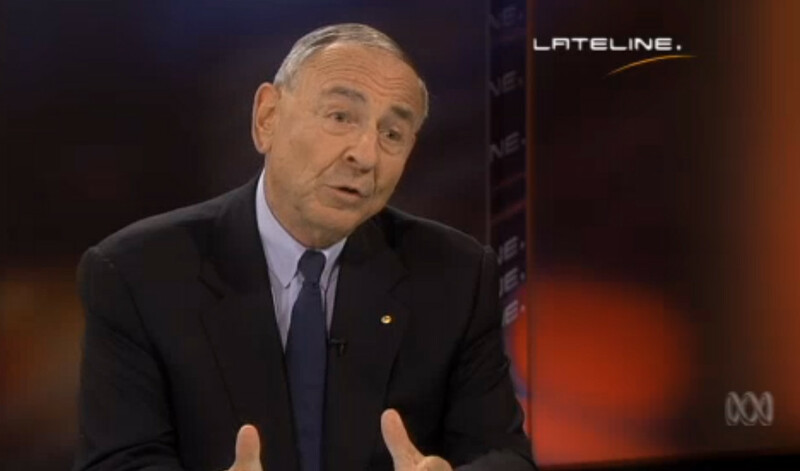 Above: Newman on Lateline in 2014. Penning a piece for The Australian’s opinion pages, where science degrees are as rare as sceptic climate scientists, Newman claimed world leaders were “like ancient Druids pleading with the gods for good seasons” at the successful COP21 meeting a few weeks ago. “They embrace junk ­science and junk economics and adopt wealth-destroying postmodern pseudo-economics, which teaches that taxpayer subsidies can produce desirable ‘economic transformation’ and faster growth,” he said in the piece published today. How do I know this? A well-shared article on the Guardian Australia website. Maurice Newman spitting crazy climate change denial is not new, nor is it news. His words should have been left to fester in The Australian’s archives where they could do little harm to its already “enlightened” population. So why does such a vast number of people around the world disagree with the massive majority of climate scientists who actually know what they are doing? The answer is media coverage giving a huge voice to the tiny sceptic minority. As the late Stanford University climate scientist Stephen Schneider said, balance in science reporting does not mean the same as balance in political reporting. “There are rarely just two polar opposite sides, but rather a spectrum of potential outcomes, oftentimes accompanied by a considerable history of scientific assessment of the relative credibility of these many possibilities,” he said. It was surprising to see the Newman story be picked up by the Guardian Australia – the UK and all international arms of the paper have a strong history of climate reporting and advocacy based on scientific fact. We should ignore the likes of Newman, who will willingly put the entire planet at risk for a few bucks. From what I can tell, Fairfax has not touched the story. Good show. If you would like to read more of the Lateline interview sampled in that package, click here. I am aware I will be accused of hypocrisy for suggesting we ignore Newman while writing a whole post about him, but this is not a positive article for sceptics. We should ignore Newman, but we should not let the kind of coverage The Australian and The Guardian gave him today go unquestioned. This was my first, and hopefully last, post about Maurice Newman.